Author Grace Allison is a modern Christian Mystic and an award-winning self-help and motivational author who has assisted thousands to find their spiritual wisdom to solve everyday challenges. Grace Allison describes herself as “a prime example of someone who pulled herself up by her bootstraps and took notes along the way.” When she turned to writing, she chose subjects that she was intimately familiar with—and their scope is surprising. “My friend, Grace Allison, an intelligent, contemplative individual, through hard-won experiences, speaks to my mind and heart concerning paths to the “hidden” part of the mind. She emphasizes the use of the higher levels of spiritual concepts such as dreams, faith, hope, forgiveness, and joy. 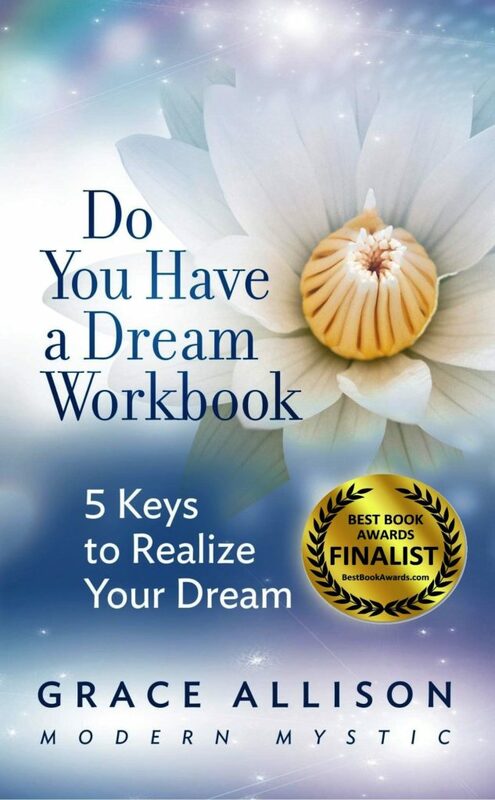 “Do You Have a Dream Workbook 5 Keys to Realize Your Dream” is a layman’s gift to the further understanding of the dynamic unconscious mind”. Life Fellow, American Psychiatric Assoc.